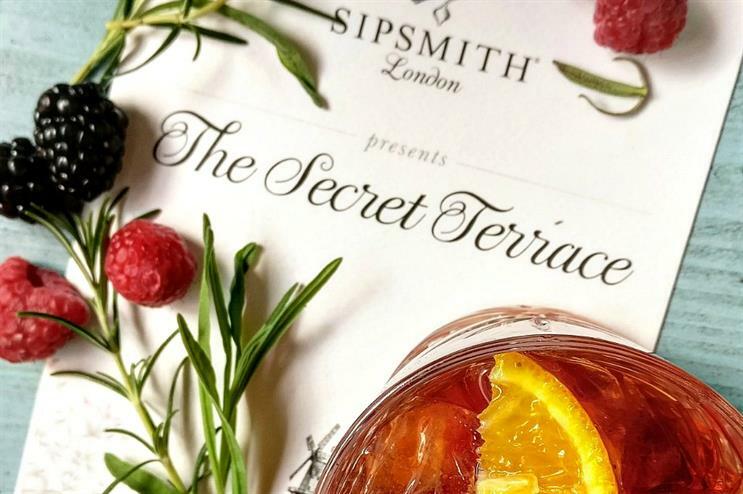 Gin brand Sipsmith is set to create a secret terrace on a London rooftop next month, inviting guests to enjoy a unique pub picnic. The windmill in Mayfair is transforming its terrace into a Sipsmith secret garden in August, offering guests the chance to enjoy a unique pub picnic in an idyllic setting. The activation initially took place on 15 July, and is returning next month for another installment. Guests' picnic hampers will include Sipsmith cocktails, alongside delicious pub food such as mini scotch quail eggs; Windmill's meat pies; crayfish and avocado cocktails; asparagus, pea, mint and feta tarts; Freekah, radicchio, apple, walnut, blue cheese salad; strawberries with vanilla cream and mint; and chocolate brookies. Mixologists from Sipsmith will be on hand to create bespoke cocktails and provide flavour pairings to ensure the drinks match the food on offer. The event will take place on 5 August from 7-10pm. In January, Sipsmith hosted a 'hot gin' pop-up experience in partnership with London's Ham Yard Hotel. More: Gin Mare launched its Mediterranean rooftop experience yesterday (20 July) offering guests an idyllic place to relax.